Slurry Beach, originally uploaded by Michael Mitchener. 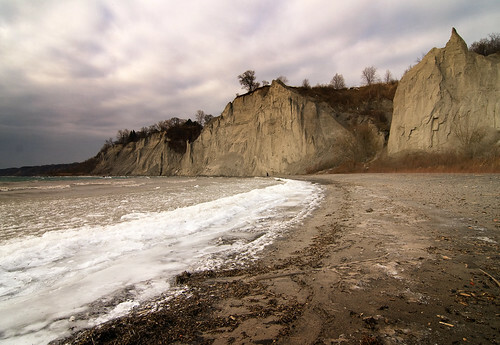 On a visit to Bluffer's Park a couple of weekends ago, this bay near the western bluffs was filled with a slurry of ice and cold, cold water. With the motion of the waves and wind, the slush was constantly moving and made an eerie grinding noise. I visited this park once many years ago in the summer and it was full of people. 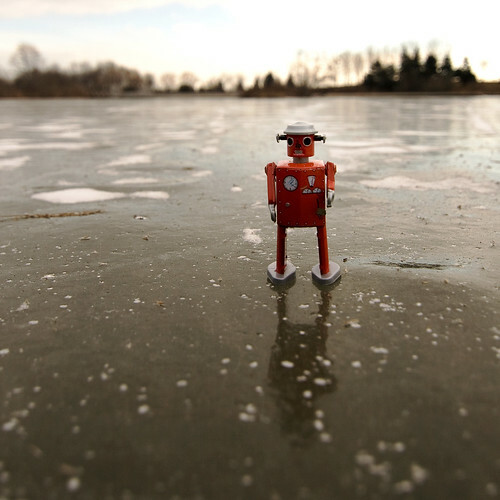 I think I prefer it in the winter despite the cold with its near empty landscapes and dramatic winter scenes. If you look really close, that's my pal, syncros on the far shore of the bay getting another perfect ice monster shot.